1. Tap the gear icon at the top left of the screen. 4. 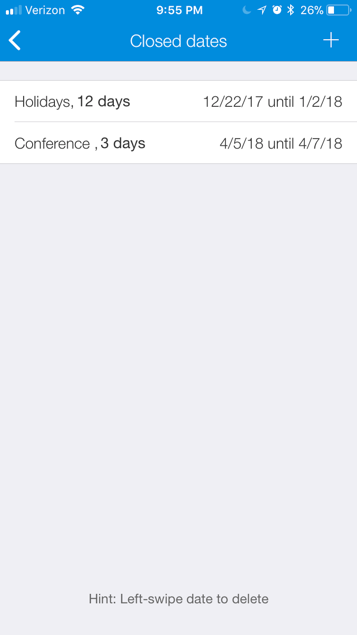 Tap the "+" sign up at the top right of the Closed Dates screen. 5. (Optional) Enter a brief description of the reason for the closure. 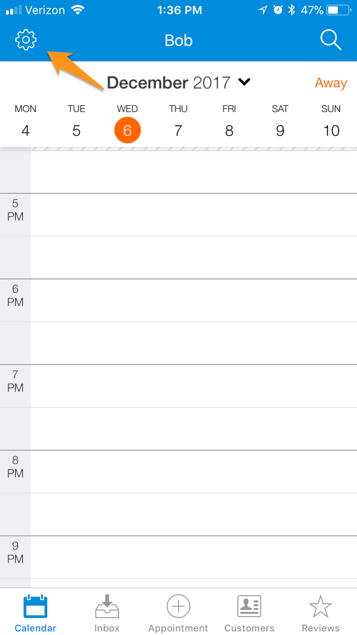 This description will be visible to customers viewing your scheduling page. 6. 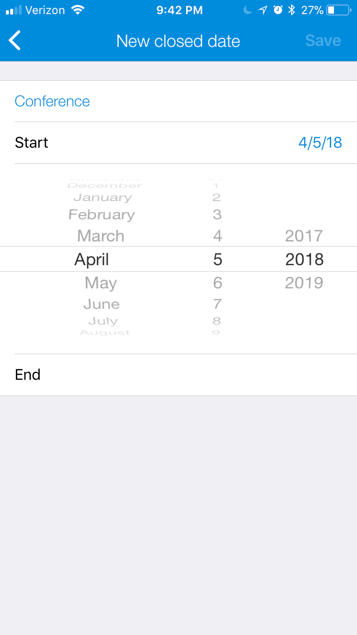 Tap "Start" and select the starting closed date. 7. 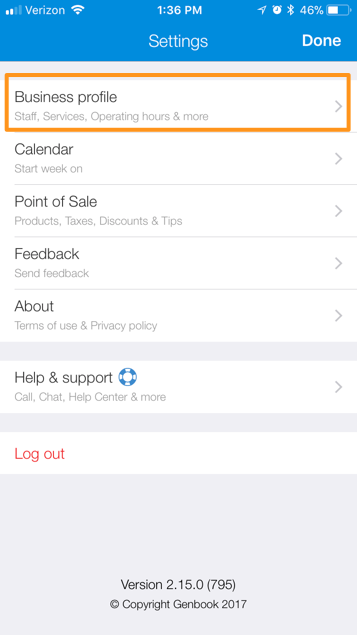 Tap "End" and select the ending closed date. 8. 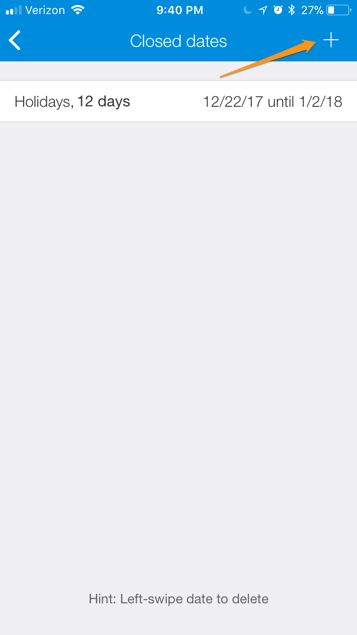 Tap "Save" at the top right of the screen. 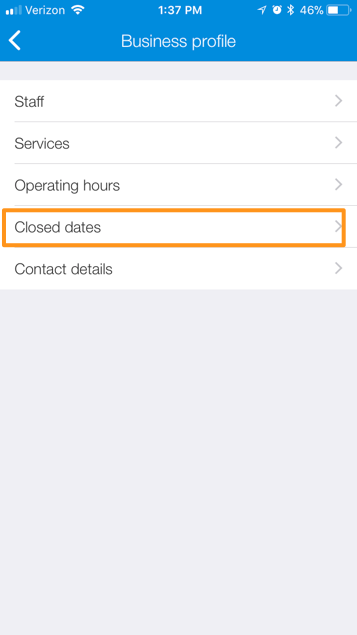 Your Closed Dates should now all be listed on that screen. 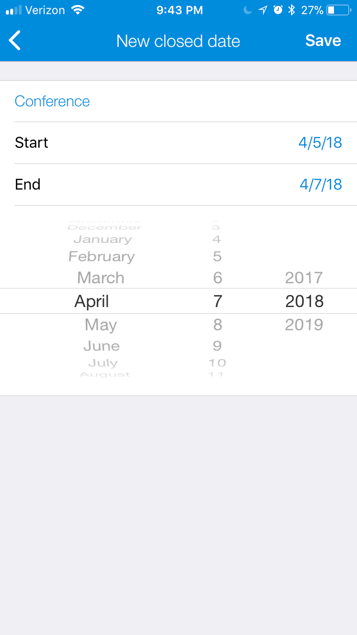 To delete a closed date or series of closed dates, swipe left on the date or date range.